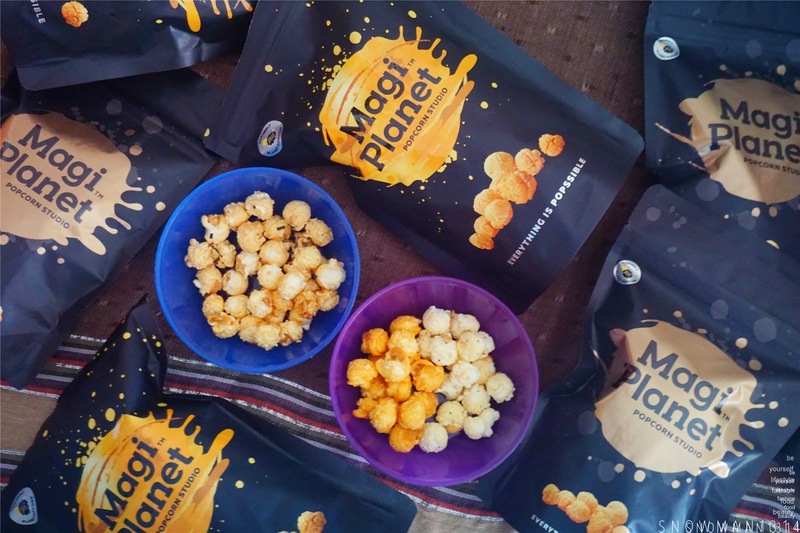 Magi Planet Popcorn Studio - RM10 DISCOUNT OFF!! Ohai time for a break about Popcorn from Magi Popcorn! 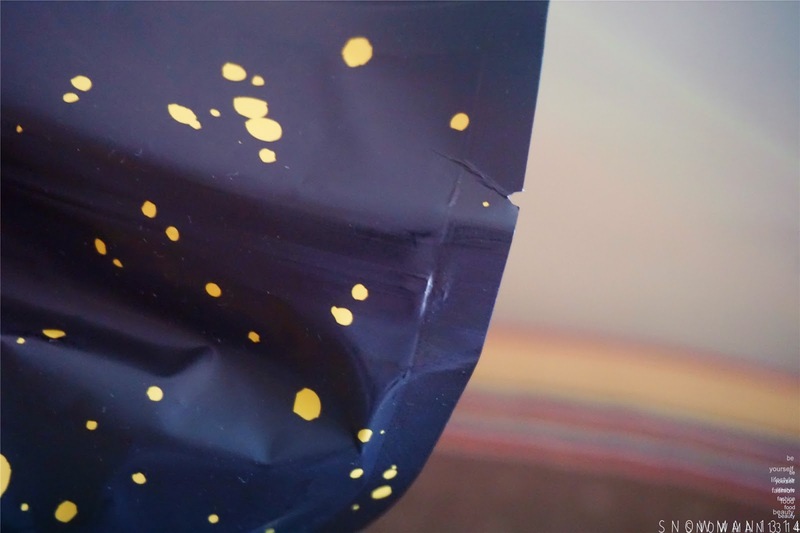 It was my first time trying out this popcorn, I am not quite a popcorn person. 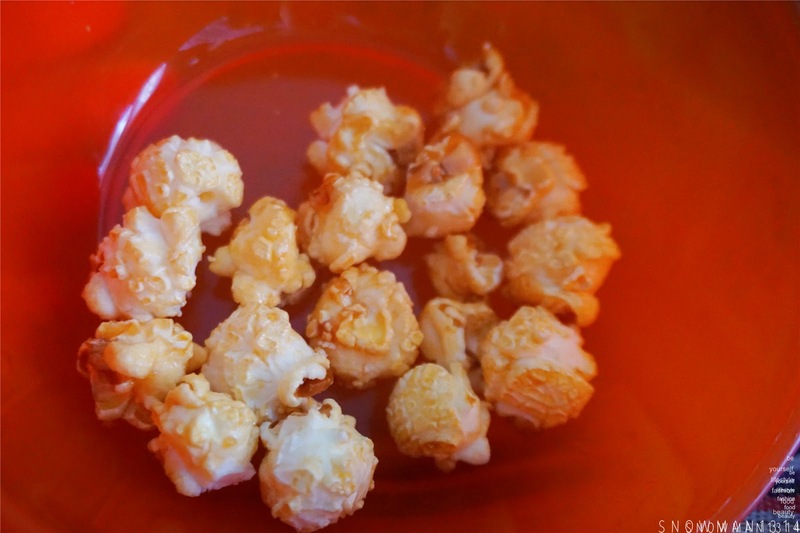 I don't eat popcorn when I go cinema because the portion was too much for me and I can't finish it even the movie end. However, now we can buy our favorite popcorn and enjoy it every day at home. You can eat whenever we want, we like and where too! 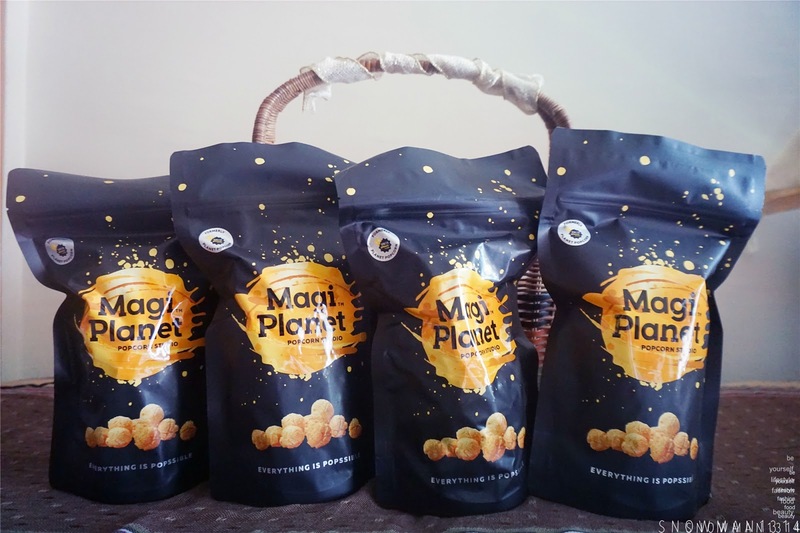 I manage to get this 8 packs Magi Popcorn with a total of 4 different flavors to eat it at home. There are two types of packaging, one is a slight bigger packaging that you can enjoy and share it with friends or family. The another type smaller as the image above. If you want to enjoy fully to yourself, you can have this small packaging where you can easily grab and bring it anywhere you want too. I love how thoughtful that in this set! 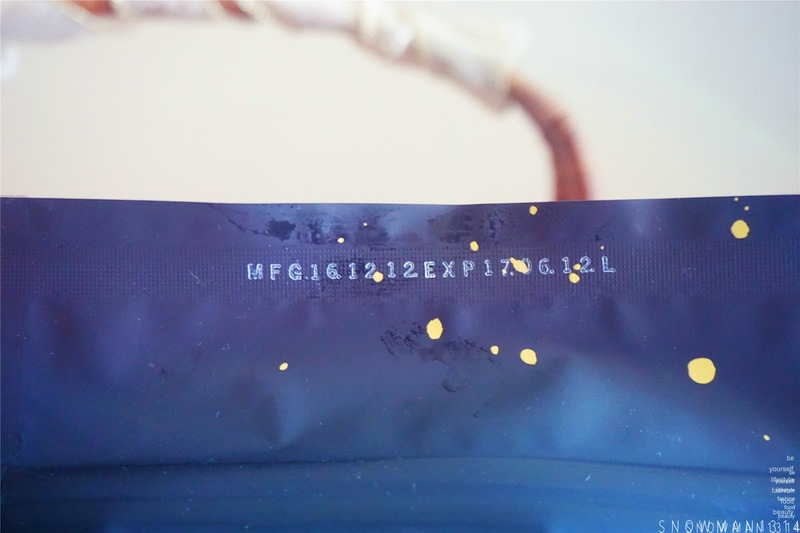 Expiry Date and Tear opening for safe consume and easy tear to open too! One of my favorite flavors will be this Takoyaki flavor! Since my boyfriend loves to eat Takoyaki, so do I. It tastes just the same as the takoyaki we eat outside. 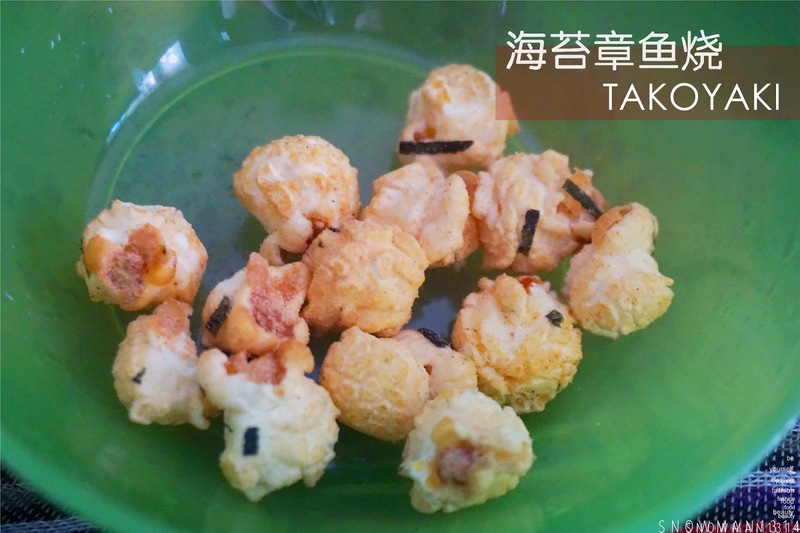 I love how the taste same Tako and Katsuobushi flakes. 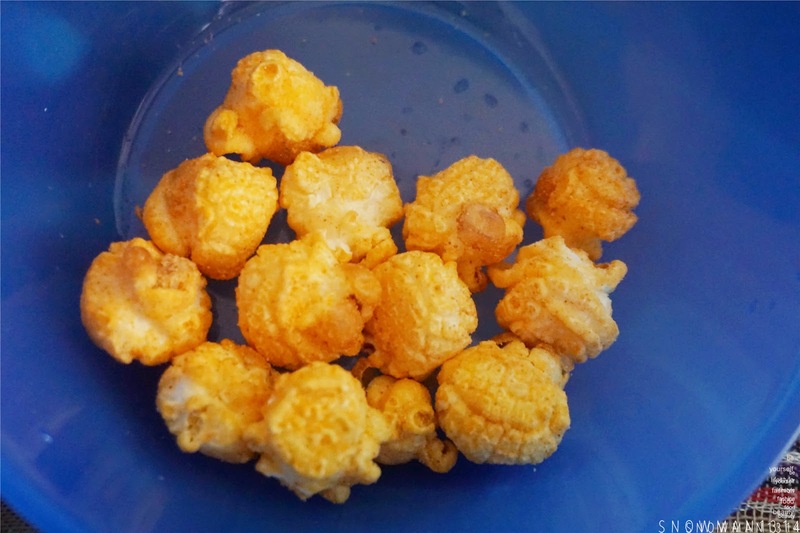 Add on with the seaweed it just boosts up the crunchiness of this popcorn! If you love to eat cheese and spicy flavor, this Chili Cheese might be the one for you! It was not too cheesy however you can taste the spicy taste also. 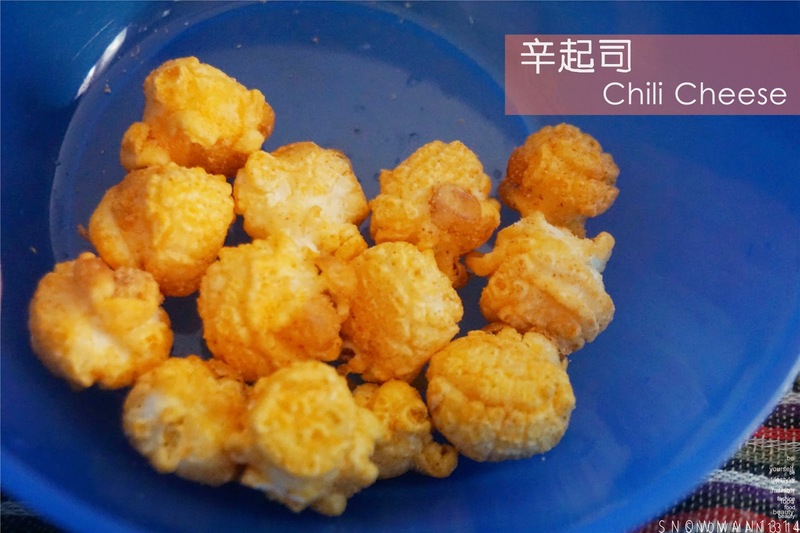 It was cooked with chili and cheese powder, which you can taste two different taste in one popcorn. 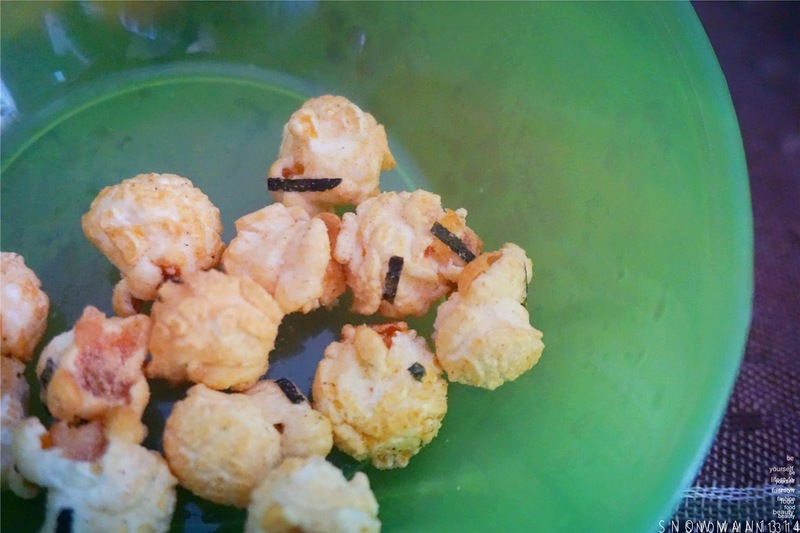 I love how rich the taste of cheesy and spicy pepper taste after eating this flavor! 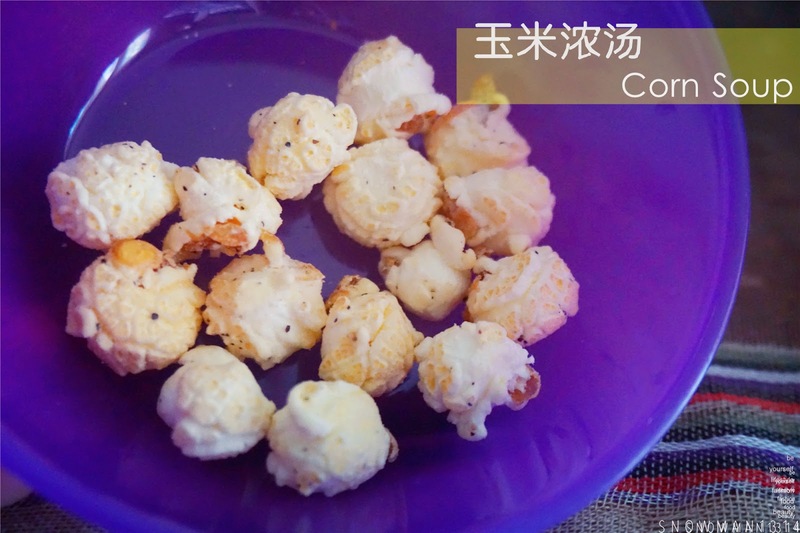 This corn flavor is one their signature flavor which is famous among kids and adults. They spice up the corn soup flavor with a slight of black pepper that enough to bring out the savory taste of the corn flavor. I remember when I first try this I thought that I was drinking corn flavor soup. 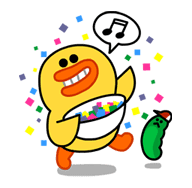 The taste is so filling! Lastly, one of the signature best selling is this Crystal Salted Caramel flavor! I love that it was not too sweet or salty. 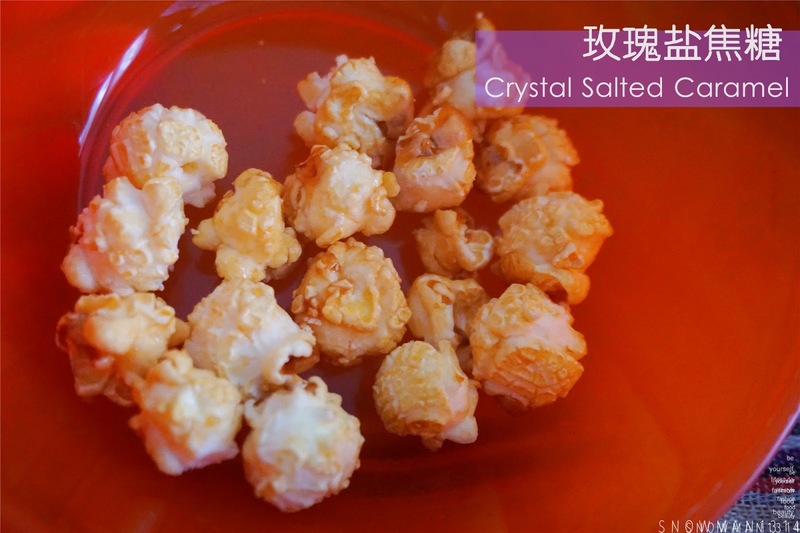 Compare to the popcorn in the market, this Crystal Salted Caramel is marinated with the origin Mount Himalaya's rose salt which is really natural and organic! It's a healthier choice of snack in front of the drama show. My top 2 favorite was Takoyaki and Crystal Salted Caramel. I love that Takoyaki is more too salty and appetizing flavor. 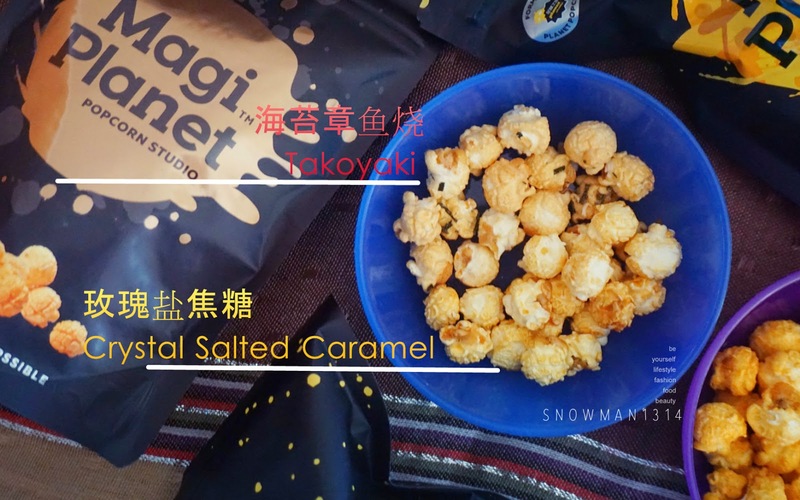 As for Crystal Salted Caramel, I love that the taste is not too sweet but able to lift up the caramel taste while eating the popcorn. 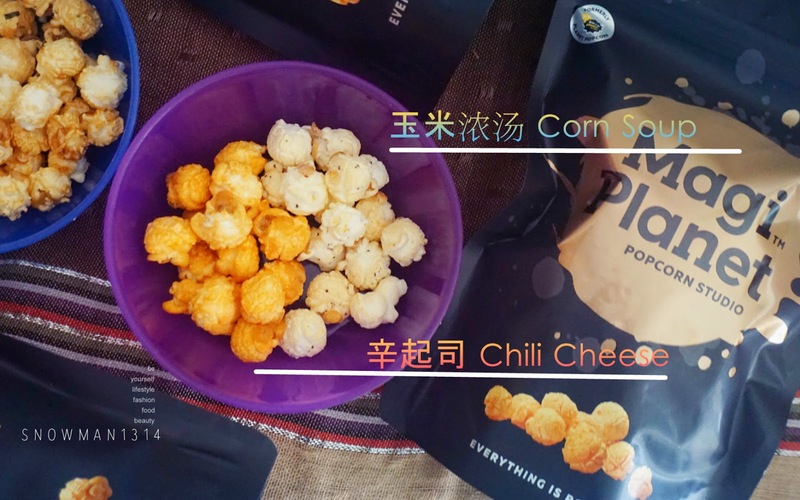 Next up is Corn Soup and Chili Cheese, Corn soup gives a really homey kind of popcorn taste whereas if you want something to spice up your taste bud Chili Cheese is here to the rescue. 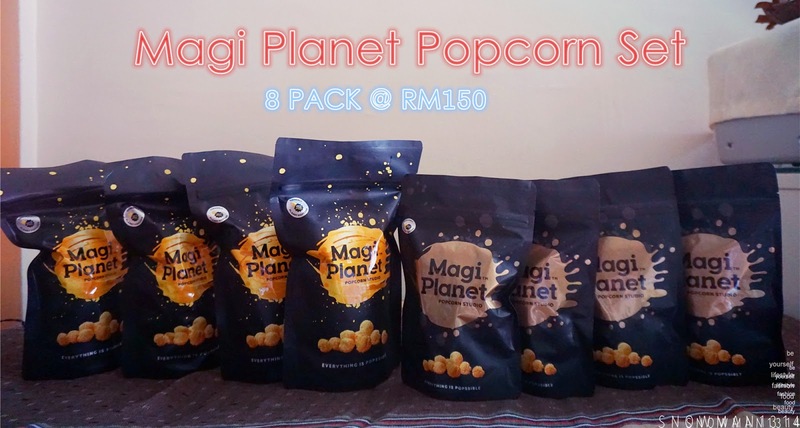 Magi Planet Popcorn Set now is RM150 for 8 pack! 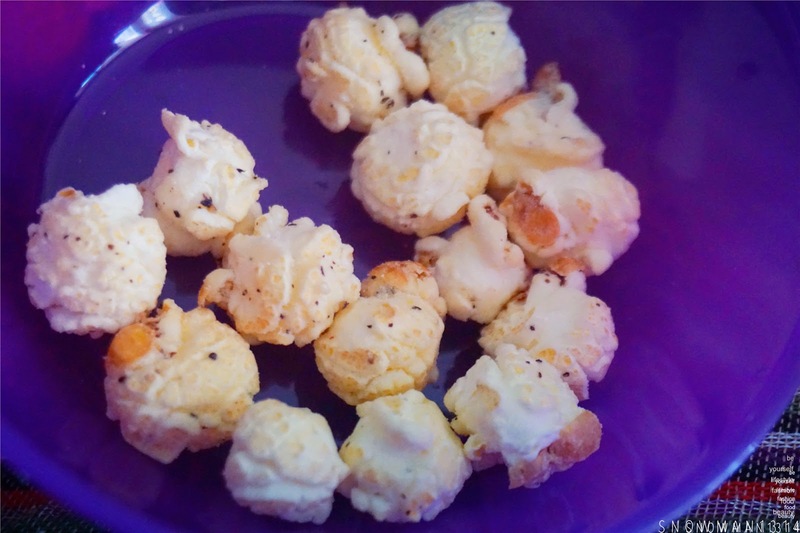 Now I have some good news to all my readers, key in SHARONLOVEPOPCORN for RM10 Discount. Simply just need to add apply coupon code when purchasing at here! 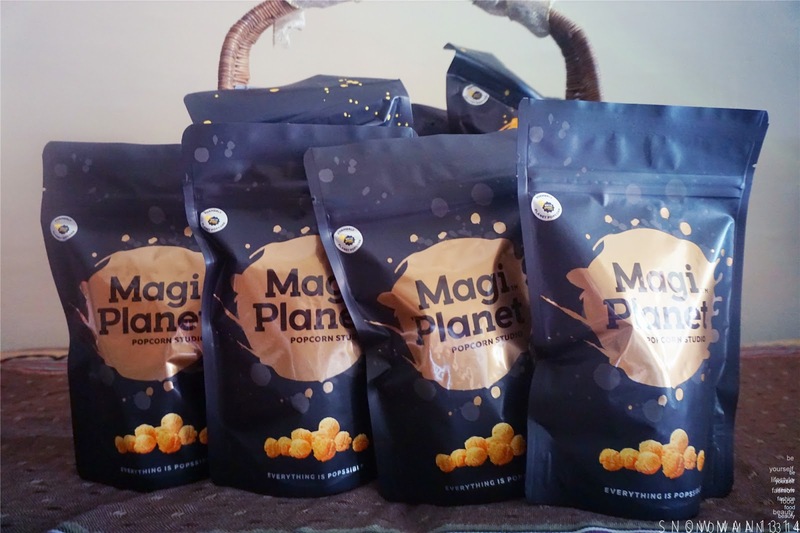 Now you can get RM140 for a total of 4 Packs (100g) + 4 Packs (50g) of Magi Planet Popcorn with 4 different taste that you will not regret to try it! Gimme the caramel flavor one please. Hehe. RM150 for 8 packs? That is gonna be one happy party during this CNY! Gosh! I wish I can get to taste it too! Shall buy this soon! These corn look so different from the type that I know. Coming in so many flavours is an added bonus, too. Thanks for the discount alert! It'll be very useful. I love their salted caramel flavour. In general all of them are nice also. Yes it was really good!! You need to try it ler!! Markets 21 @ Jaya One is back in 2017!